HETS was pleased to invite member institution’s Directors of Information Technology to participate of the Lehman College Dashboard Showcase event concurrent to the HETS Board meeting in January 15, 2015. 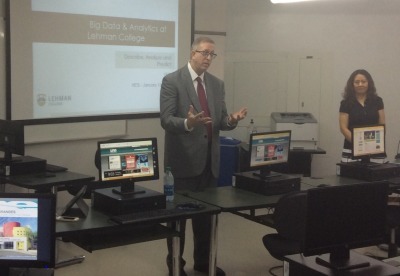 This event was by invitation only and it was an opportunity to learn about innovative initiatives and projects that Lehman College is implementing in different areas; presented by Mr. Ronald Bergmann, Vice President of Information Technology Division /CIO and Lei Millman, Developer, Information Technology Division, Lehman College. To watch the video recording of this presentation go to : Lehman College Dashboard Tool Playlist at the HETS You Tube Channel. Cost: Free of charge for HETS members! 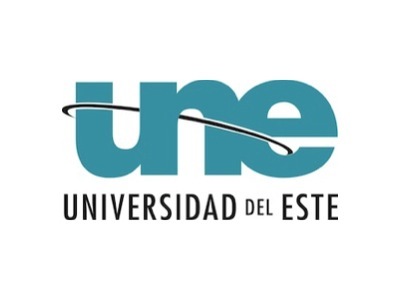 HETS would like to thank the IT department of the Universidad del Este, AGMUS and its team for the use of its computer laboratory, at the Escuela de Hospitalidad y Artes Culinarias José A. “Tony” Santana, to perform the testing of the dashboard tool and the recording of this event. If you need any additional information, feel free to contact the HETS Office by email (info@hets.org) or by phone (787) 766-2600 exts. 8910, 8911. To read the news release about this event go to: Information Technology Showcase event: presentation of the Lehman College Dashboard Tool in PR.